Over the next week or so, we’re going to follow the schedule of the actual event. 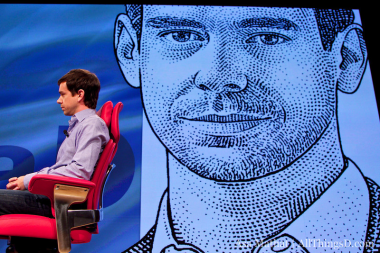 Up now: Twitter and Square inventor Jack Dorsey. The busy entrepreneur has a lot going on, working both to change the online payments space and also to make money from his social communications service. One of Dorsey’s major inspirations was the late Steve Jobs of Apple, especially in his knack for simplifying products to an essential minimalism.